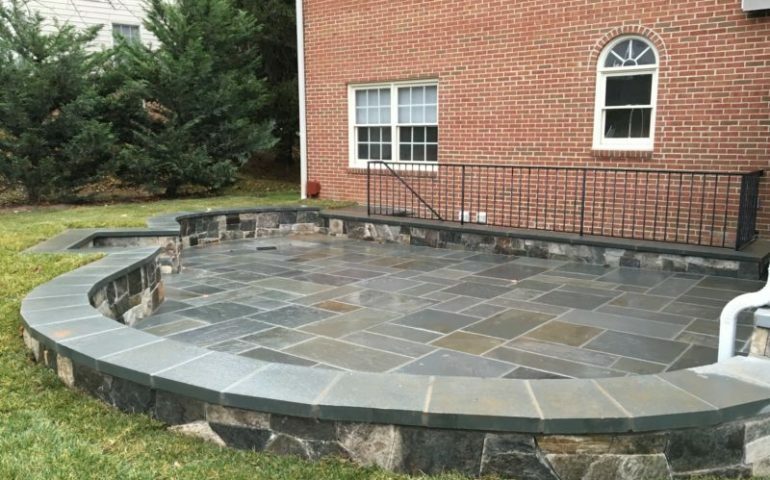 Flagstone patio and stone seating wall. Straight cut Pa flagstone patio set in mortar on a concrete base. Set in a random pattern. Stone wall veneer with no mortar joints.